Died: 6th May 1918; age 18 years & 9 months; KiA in the field. Served 223 days. Residence: 55, Sirdar Road, Ipswich. Employed: as a Clerk, for the London & Manchester Insurance Company – Ipswich branch. Enlistment Details: Date: 26th September 1917; Location: Bury St. Edmunds, Suffolk; age: 18 years & 1 month; Occupation: Clerk; Religion: CofE. Signed up for the duration of the war. Next of Kin: Father – Edward John Bardwell, 55, Sirdar Road, Ipswich. Height: 5ft 5 3/4. Service: Home 26th September 1917 – 5th April 1918 – France – 6th April 1918 – 6th May 1918. Rank: Private; Service Number: 103384. Regiment: Notts & Derby (Sherwood Foresters) Regiment, 10th Battalion. 1901 Gardener’s Cottage, Henley Road, Whitton, Suffolk. Frederick was a year old and staying with his sister at the home of his maternal grandparents & uncle. Charles Scurrell, 48, a Coachman – Domestic, born Alesford, Essex. Eliza Scurrell, 50, born Newbourne, Suffolk. Ernest George Scurrell, 19, born Henley, Suffolk. Kathleen Hilda Bardwell, 3, born Ipswich. In 1901, Frederick & Kathleen’s parents were living at 24, Chenery Street, Ipswich with their siblings & paternal grandfather. 1911 55, Sirdar Road, Ipswich. Frederick was 11 years old and living with his parents & siblings. Edward John Bardwell, 43, a House Painter, born Ipswich. Kathleen Annie Bardwell (nee Scurrell), 39, born Alesford, Essex. Edward Charles Bardwell, 14, an Assistant Gardener – Domestic, born Ipswich. Dorothy Agnes Bardwell, 10, born Ipswich. Florence Queenie Bardwell, 8, born Ipswich. Arthur Hubert Bardwell, 6, born Ipswich. Harold Stanley Bardwell, 5, born Ipswich. Evelyn Daisy Bardwell, 3, born Ipswich. 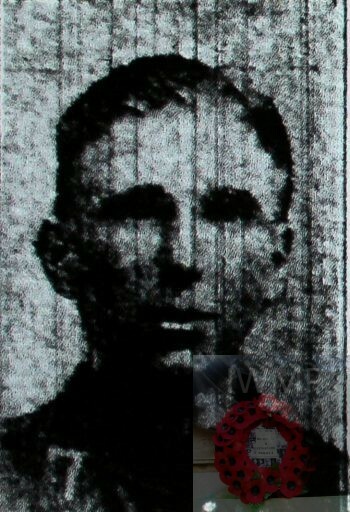 Soldiers’ Effects to Edward J. Bardwell – father.